China Spectrocolorimeter Manufacturer www.spectrumgfa.com offers CS-580 Portable Spectrocolorimeter. CS-580 Portable Spectrocolorimeter is designed for measuring CIE-Lab, CIE-XYZ,density CMYK,etc.It adopts high technology from overseas. It tests based on the condition of 45/0 that is internationally used. 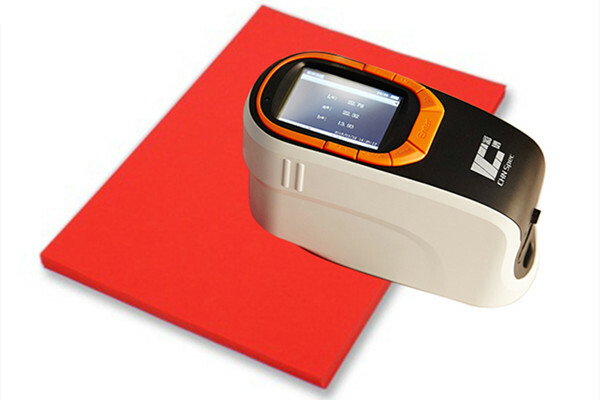 Our device is widely used for color measurement for any industry especially for printing color quality control. The following are the colour measuring machine pictures. The following are application of our Color Density Meter. a. One Year Guarantee Time. b. If testing data is not correct, we can do refund. c. We will provide testing report for every device to assure the authority of the data and it will save the calibration cost for 1 year. Delivery time:3-20 days after payment received. Address: No. 166 of Wenyuan Road,Jianggan District,Hangzhou City, Zhejiang Province, China.